Word coming out of the AmaKhosi camp is that the 2014 MTN8 champions have a lot of respect for the current Maritzburg United outfit. The Team of Choice clash with Chiefs at the FNB Stadium this Saturday (20H15 kick off) in an Absa Premiership match, before returning to the same venue a week later to tackle AmaKhosi in the MTN8. 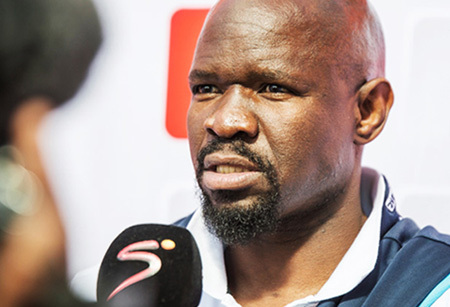 Speaking ahead of this weekend’s match, Chiefs coach Stuart Baxter spoke of his admiration for the work Maritzburg United head coach Steve Komphela is doing with the Team of Choice. "Maritzburg will be difficult for many reasons. One, because Steve is a creative coach and changes players so often. He always gives them a game plan that suits them. And two, he's got a good personality so gets the most out of his players,” said Baxter. "The other reason is because we've just come off a very good win against Pirates. I've just had a meeting with the players where I said I want Chiefs to be the ones that benefit from that win, not Sundowns, Maritzburg and all the other teams, just because we can't get our feet back on the ground." Maritzburg goalkeeper Shu-aib Walters meanwhile is the veteran of many encounters against Chiefs over the years. Walters believes that Maritzburg need to keep an eye on a player that is not always seen as one of AmaKhosi’s biggest stars, Kingston Nkhatha. “You know the third man running in football, now Chiefs use that a lot. Kingston Nkhatha just basically brings everybody else into play. Yes, he will score the odd goal but he’s not a goal machine. So, your goals are obviously going to come from surrounding players,” Walters told the Goal website. “The way they play - from one defender it goes straight to a striker, then from the striker it comes back to the midfield and the third man is the one you need to worry about and that is the danger."